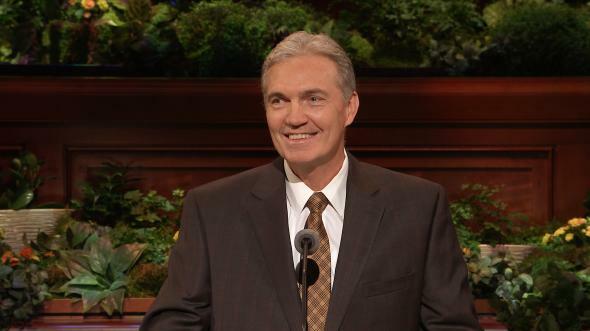 My beloved brethren and sisters, I rejoice in this great conference. I am a better man because I was here. I thank the Lord for the great record that has been made. This has been another glorious conference of the Church. I commend to each of you the counsel of these, my brethren, who have spoken to us. I love them and sustain them, and I love the members of the Church everywhere. 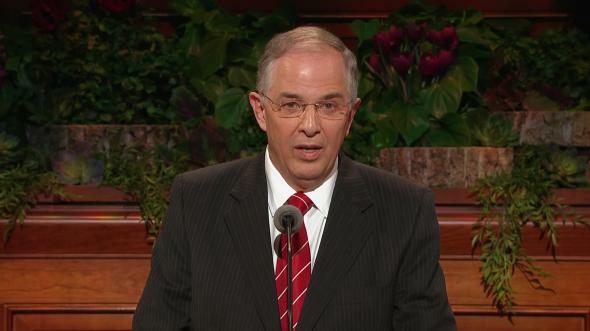 I would like to speak about two sacred volumes of modern scripture—the Book of Mormon and the Doctrine and Covenants. The Book of Mormon and the Doctrine and Covenants are bound together as revelations from Israel’s God to gather and prepare His people for the second coming of the Lord. The bringing forth of these sacred volumes of scripture “for the salvation of a ruined world” cost “the best blood of the nineteenth century”—that of Joseph Smith and his brother Hyrum (D&C 135:6). Each divine witness contains a great proclamation to all the world—the title page of the Book of Mormon, and section 1, the Lord’s preface to the Doctrine and Covenants. “This generation,” said the Lord to Joseph Smith, “shall have my word through you” (D&C 5:10). And so it has through the Book of Mormon, the Doctrine and Covenants, and other modern revelations. The Book of Mormon and the Doctrine and Covenants testify of each other. You cannot believe one and not the other. The Book of Mormon testifies of modern books of scripture. It refers to them as “other books” and “last records” which “establish the truth” of the Bible and make known the “plain and precious things which have been taken away” from the Bible (1 Ne. 13:39–40). Excluding the witnesses to the Book of Mormon, the Doctrine and Covenants is by far the greatest external witness and evidence which we have from the Lord that the Book of Mormon is true. At least thirteen sections in the Doctrine and Covenants give us confirming knowledge and divine witness that the Book of Mormon is the word of God (see D&C 1; D&C 3; D&C 5; D&C 8; D&C 10–11; D&C 17–18; D&C 20; D&C 27; D&C 42; D&C 84; D&C 135). The Doctrine and Covenants is the binding link between the Book of Mormon and the continuing work of the Restoration through the Prophet Joseph Smith and his successors. In the Doctrine and Covenants we learn of temple work, eternal families, the degrees of glory, Church organization, and many other great truths of the Restoration. “Search these commandments,” said the Lord of the Doctrine and Covenants, “for they are true and faithful, and the prophecies and promises which are in them shall all be fulfilled. “What I the Lord have spoken, I have spoken, and I excuse not myself; and though the heavens and the earth pass away, my word shall not pass away, but shall all be fulfilled, whether by mine own voice or by the voice of my servants, it is the same” (D&C 1:37–38). The Book of Mormon brings men to Christ. The Doctrine and Covenants brings men to Christ’s kingdom, even The Church of Jesus Christ of Latter-day Saints, “the only true and living church upon the face of the whole earth” (D&C 1:30). I know that. The Book of Mormon is the “keystone” of our religion, and the Doctrine and Covenants is the capstone, with continuing latter-day revelation. The Lord has placed His stamp of approval on both the keystone and the capstone. The ancient preparation of the Book of Mormon, its preservation, and its publication verify Nephi’s words that “the Lord knoweth all things from the beginning; wherefore, he prepareth a way to accomplish all his works among the children of men; for behold, he hath all power unto the fulfilling of all his words” (1 Ne. 9:6). We are not required to prove that the Book of Mormon is true or is an authentic record through external evidences—though there are many. It never has been the case, nor is it so now, that the studies of the learned will prove the Book of Mormon true or false. The origin, preparation, translation, and verification of the truth of the Book of Mormon have all been retained in the hands of the Lord, and the Lord makes no mistakes. You can be assured of that. God has built in His own proof system of the Book of Mormon as found in Moroni, chapter 10, and in the testimonies of the Three and the Eight Witnesses and in various sections of the Doctrine and Covenants. We each need to get our own testimony of the Book of Mormon through the Holy Ghost. Then our testimony, coupled with the Book of Mormon, should be shared with others so that they, too, can know through the Holy Ghost of its truthfulness. 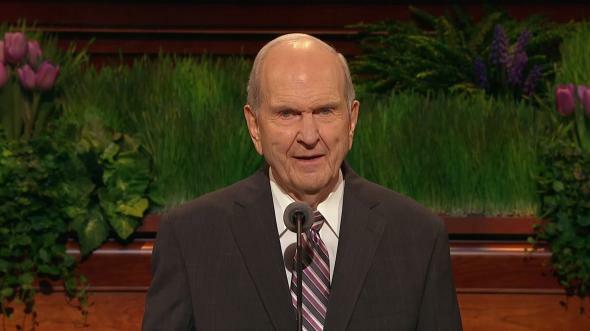 Nephi testifies that the Book of Mormon contains the “words of Christ” and that if people “believe in Christ,” they will believe in the Book of Mormon (2 Ne. 33:10). God uses the power of the word of the Book of Mormon as an instrument to change people’s lives: “As the preaching of the word had a great tendency to lead the people to do that which was just—yea, it had had more powerful effect upon the minds of the people than the sword, or anything else, which had happened unto them—therefore Alma thought it was expedient that they should try the virtue of the word of God” (Alma 31:5). Alma reminded his brethren of the Church how God delivered their fathers’ souls from hell: “Behold, he changed their hearts; yea, he awakened them out of a deep sleep, and they awoke unto God. Behold, they were in the midst of darkness; nevertheless, their souls were illuminated by the light of the everlasting word” (Alma 5:7). 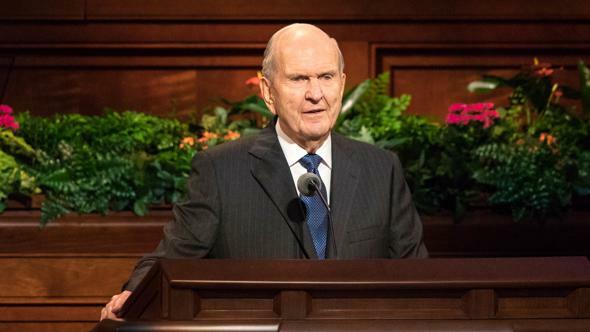 I am deeply concerned about what we are doing to teach the Saints at all levels the gospel of Jesus Christ as completely and authoritatively as do the Book of Mormon and the Doctrine and Covenants. By this I mean teaching the “great plan of the Eternal God,” to use the words of Amulek (Alma 34:9). Are we using the messages and the method of teaching found in the Book of Mormon and other scriptures of the Restoration to teach this great plan of the Eternal God? “And it came to pass that when Aaron saw that the king would believe his words, he began from the creation of Adam, reading the scriptures unto the king—how God created man after his own image, and that God gave him commandments, and that because of transgression, man had fallen. “And Aaron did expound unto him the scriptures from the creation of Adam, laying the fall of man before him, and their carnal state and also the plan of redemption, which was prepared from the foundation of the world, through Christ, for all whosoever would believe on his name. “And since man had fallen he could not merit anything of himself; but the sufferings and death of Christ atone for their sins, through faith and repentance” (Alma 22:12–14). The Book of Mormon Saints knew that the plan of redemption must start with the account of the fall of Adam. In the words of Moroni, “By Adam came the fall of man. And because of the fall of man came Jesus Christ, … and because of Jesus Christ came the redemption of man” (Morm. 9:12). Brethren and sisters, we all need to take a careful inventory of our performance and also the performance of those over whom we preside to be sure that we are teaching the “great plan of the Eternal God” to the Saints. Do we understand and are we effective in teaching and preaching the Atonement? What personal meaning does the Lord’s suffering in Gethsemane and on Calvary have for each of us? What does redemption from the Fall mean to us? In the words of Alma, do we “sing the song of redeeming love”? (Alma 5:26). Now, what should be the source for teaching the great plan of the Eternal God? The scriptures, of course—particularly the Book of Mormon. This should also include the other modern-day revelations. These should be coupled with the words of the Apostles and prophets and the promptings of the Spirit. Alma “commanded them that they should teach nothing save it were the things which he had taught, and which had been spoken by the mouth of the holy prophets” (Mosiah 18:19). The Doctrine and Covenants states, “Let them journey from thence preaching the word by the way, saying none other things than that which the prophets and apostles have written, and that which is taught them by the Comforter through the prayer of faith” (D&C 52:9). Now, after we teach the great plan of the eternal God, we must personally bear our testimonies of its truthfulness. “And this is not all. Do ye not suppose that I know of these things myself? Behold, I testify unto you that I do know that these things whereof I have spoken are true. And how do ye suppose that I know of their surety? “And now, behold, I will testify unto you of myself that these things are true. Behold, I say unto you, that I do know that Christ shall come among the children of men, to take upon him the transgressions of his people, and that he shall atone for the sins of the world; for the Lord God hath spoken it” (Alma 34:8). 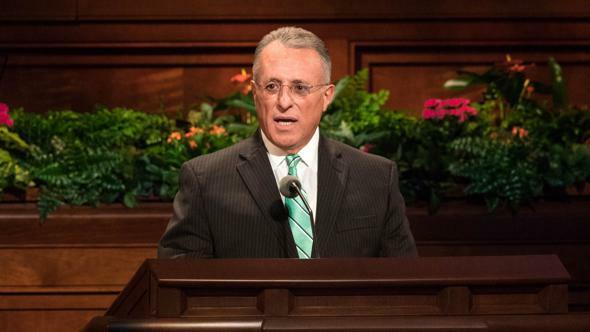 In His preface to the Doctrine and Covenants, the Lord said that the “voice of warning shall be unto all people, by the mouths of my disciples, whom I have chosen in these last days” (D&C 1:4). The responsibility of the seed of Abraham, which we are, is to be missionaries to “bear this ministry and Priesthood unto all nations” (Abr. 2:9). Moses bestowed upon Joseph Smith in the Kirtland Temple the keys to gather Israel (see D&C 110:11). It is that most correct book which, if men will abide by its precepts, will get them closer to God than any other book. It is the Book of Mormon (see Introduction to the Book of Mormon). 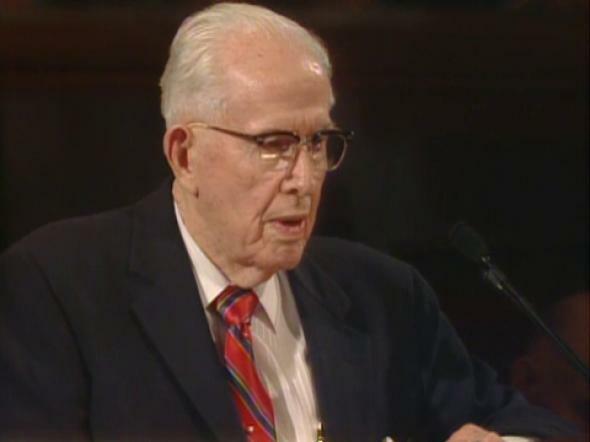 God bless us all to use all the scriptures, but in particular the instrument He designed to bring us to Christ—the Book of Mormon, the keystone of our religion—along with its companion volume, the capstone, the Doctrine and Covenants, the instrument to bring us to Christ’s kingdom, The Church of Jesus Christ of Latter-day Saints. Now, by virtue of the sacred priesthood in me vested, I invoke the blessings of the Lord upon the Latter-day Saints and upon good people everywhere. I bless you with added power to endure in righteousness amidst the growing onslaught of wickedness, about which we have heard a great deal during this conference. I promise you that as you more diligently study modern revelation on gospel subjects, your power to teach and preach will be magnified and you will so move the cause of Zion that added numbers will enter into the house of the Lord as well as the mission field. I bless you with increased desire to flood the earth with the Book of Mormon, to gather out from the world the elect of God who are yearning for the truth but know not where to find it. 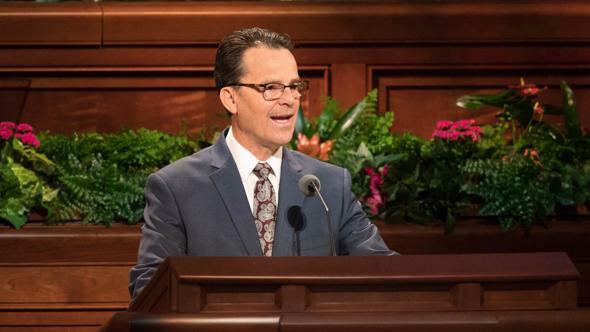 I promise you that, with increased attendance in the temples of our God, you shall receive increased personal revelation to bless your life as you bless those who have died. I testify that the Book of Mormon is the word of God. Jesus is the Christ. Joseph Smith is His prophet. The Church of Jesus Christ of Latter-day Saints is true, in the name of Jesus Christ, amen.